Otsu City is a suburb of Kyoto. Located on Lake Biwa, it has been a favorite place for Kyoto residents to escape the busy city. Otsu is famous for its cherry blossom viewing and having one of the best moon viewing sites in Japan. 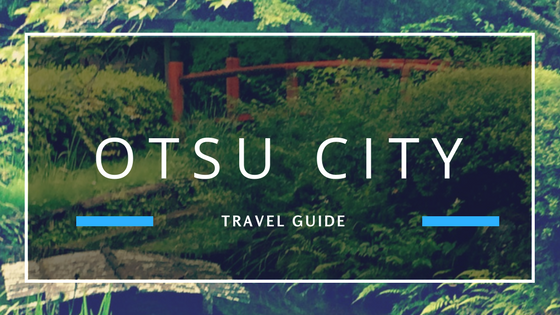 If the crowds of Kyoto become too much, consider escaping to Otsu to enjoy the scenery and history. 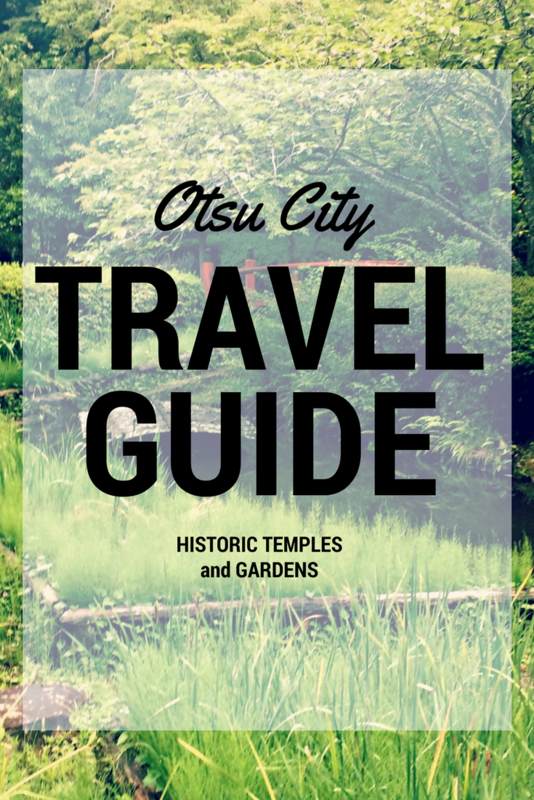 Here is a Otsu Japan travel guide to help with your visit. When Kyoto was the capital of Japan, wealthy residents would escape to Otsu to relax and enjoy the scenery. Japan’s most famous novel, The Tale of Genji, was written during one such retreat. 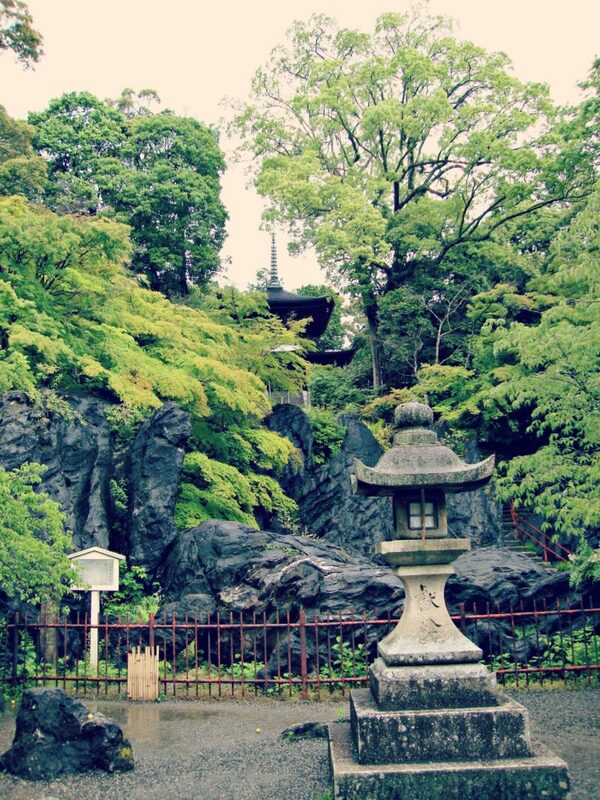 In addition to being a retreat, Otsu is also known for its Buddhist heritage. Otsu is home to two famous temples, Ishiyamadera and Miidera. Ishiyamadera (石山寺, Stone Mountain Temple) is well-known in Japan as supposedly being the place that Murasaki Shikibu started The Tale of Genji. The Tale of Genji is considered the one of the world’s oldest novels. The book was written by a noble woman who lived in the imperial court in Kyoto during the early 11th century. The book describes life in the imperial court during the height of Japan’s classical period. For Genji fans, the temple has several stops worth visiting. The temple has a small Genji display near the entrance. In addition, the Room of Genji is next to the Main Hall (Hondo). The room shows what Murasaki’s quarters would have been like when she was writing the novel. At the top of the mountain, the temple has a small museum dedicated to Murasaki Shikibu which shows several items related to Genji. Ishiyamadera is the headquarters of the Toji Shingon sect of Buddhism. The grounds are extremely large and encompass a small mountain. On nice days you can see a lovely view of Lake Biwa, Japan’s largest lake. The temple’s name comes from the large formation of the mineral wollastonite. Nyoirin-Kannon, the Goddess of Mercy, is enshrined in the temple. Visitors can see the statue every 33 years or on the coronation of an Emperor. 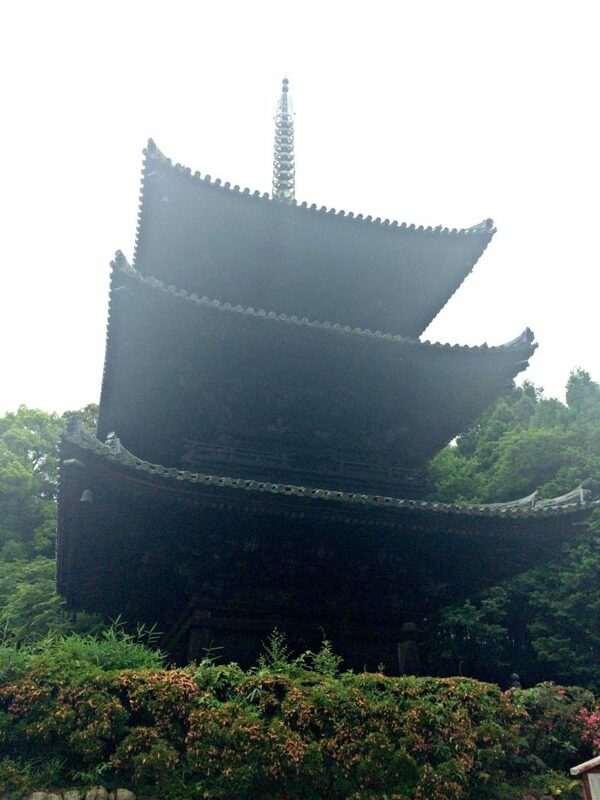 The temple also has the oldest treasure tower in Japan. Because of the temple’s association with Kannon, the temple is 13th on the Saigoku Kannon pilgrimage. 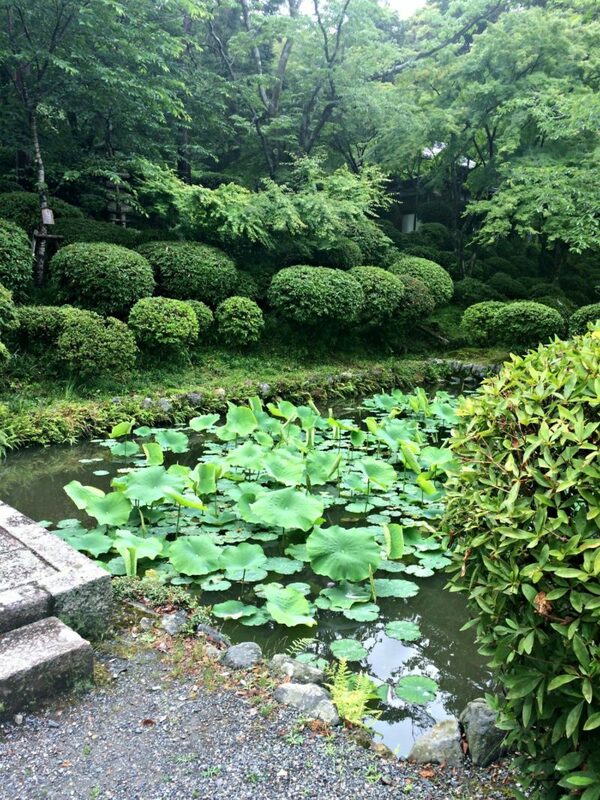 The temple grounds have many gardens including a waterfall and pond with different flowers to view each season. Miidera Temple is one of the four largest temples in Japan. 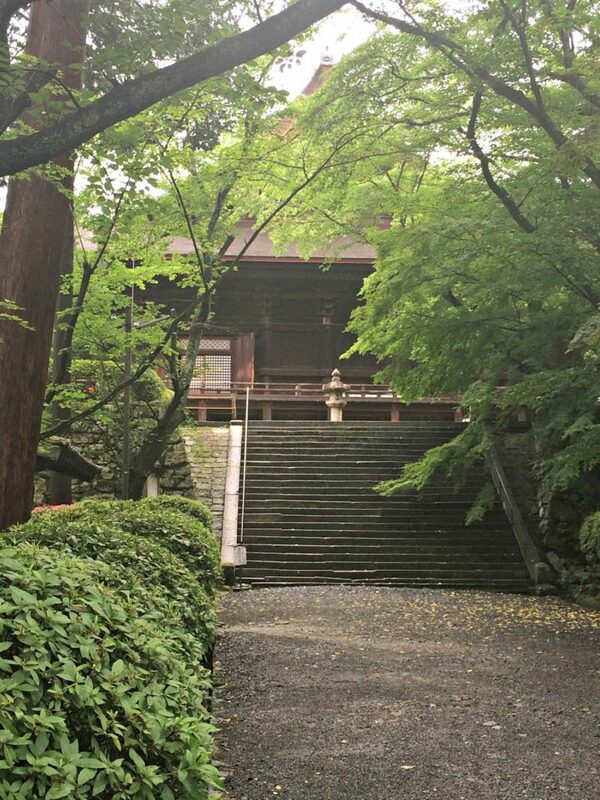 Formally known as Onjouji, Miidera sits at the base of Mount Hiei, home of Enryakuji Temple. Miidera is the headquarters of the Jimon sect of Tendai Buddhism. Shingon and Tendai were both branches of Buddhism that came from China to Japan. During the Heian period (794-1160), Japanese monks went to study Buddhism in China and brought their knowledge back to Japan. Two of the most revered monks were Kukai, often referred to by his posthumous name of Kobo Daishi, and Saicho, also known as Dengyo Daishi. 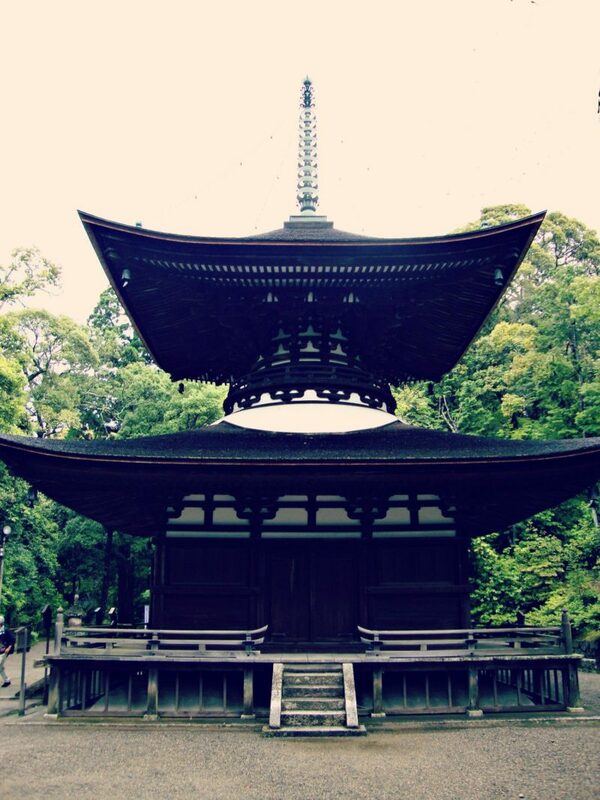 Kobo Daishi founded the Shingon school of Buddhism and is widely revered in Japan. The Shingon school was followed by both members of the imperial family as well as common people. During the Shikoku pilgrimage, followers of the Shingon school of Buddhism walk the circumference of the island of Shikoku. The Tendai school of Buddhism was historically more politically active. Monks from Enryakuji Temple (the main headquarters of the Tendai school) would march on Kyoto to demand audiences with the Emperor. Tendai was more associated with the nobility. However, offshoots of Tendai, such as Nichiren Buddhism became popular with the common people. At the height of its power, Miidera rivaled Enryakuji for influence over the Emperor. 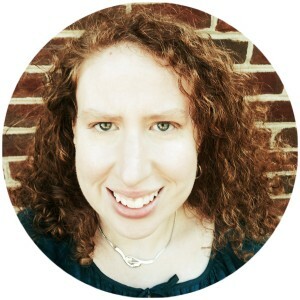 The temple has a turbulent history. Monks from Enryakuji Temple temple burned Miidera four times. Walking through the grounds, you would have no idea of the temple’s violent past. Instead, Miidera has large beautiful grounds filled with gardens and interesting buildings. The temple pagoda is beautiful to visit during azalea season. 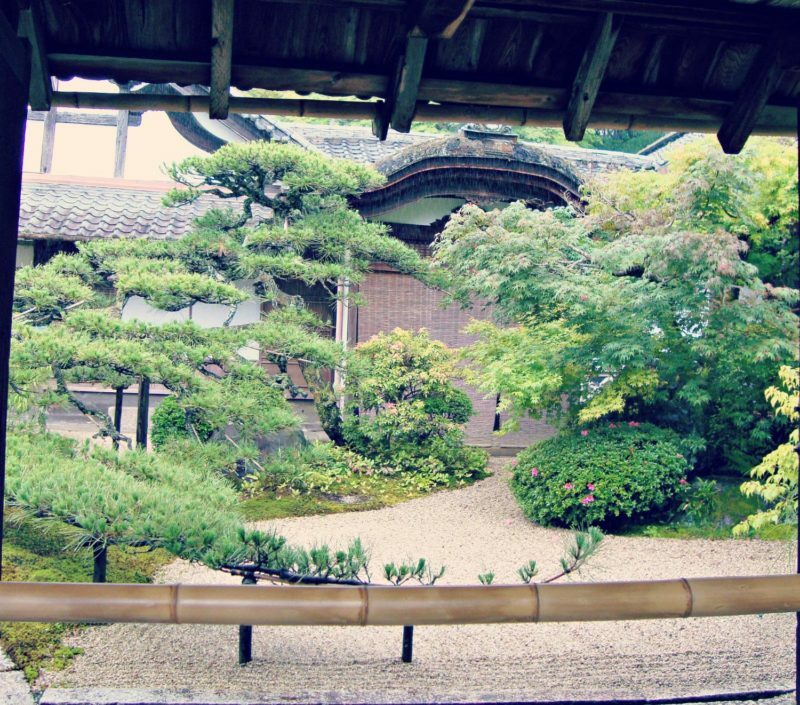 Miidera has several gardens where you can find a quiet place to meditate or enjoy nature. Miidera also has a Genji connection. Murasaki Shikibu’s father took vows at Miidera, and her half-brother was an abbot at the temple. Miidera is the 14th temple on the Saigoku Kannon pilgrimage. 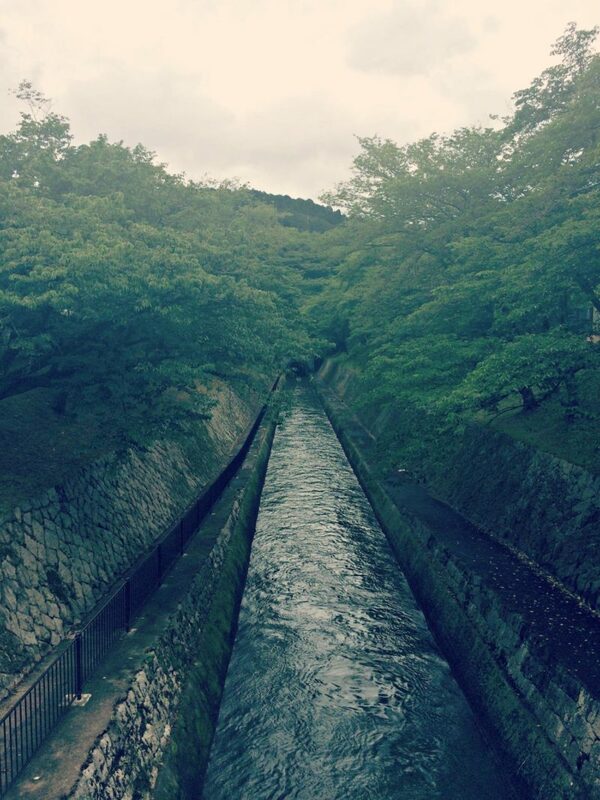 While walking from the train station to Miidera, you can also see the beginning of the historic Lake Biwa Canal. To visit Ishiyamadera, take the Japan Rail line Tokaido-Sanyo Line from Kyoto to Ishiyama Station. You will need to switch to the local Keihan line. Please note that the JR Pass does not work on the Keihan line. The temple is a 10 minute walk from Ishiyamadera Station on the Keihan Ishiyama-Sakamoto line. To visit Miidera, take the Keihan Ishiyama-Sakamoto line to Miidera Station. The temple is a 10 minute walk from the station. Nagisa Warms is a casual cafe on Lake Biwa. The restaurant features a wide variety of meals including options for vegetarians and vegans.